Fundraiser for 3 great local charities – Walk With Us, Tara Brown Foundation and Fight 4 Youth. Raising much needed funds to continue to do amazing work for those in need on the Gold Coast. 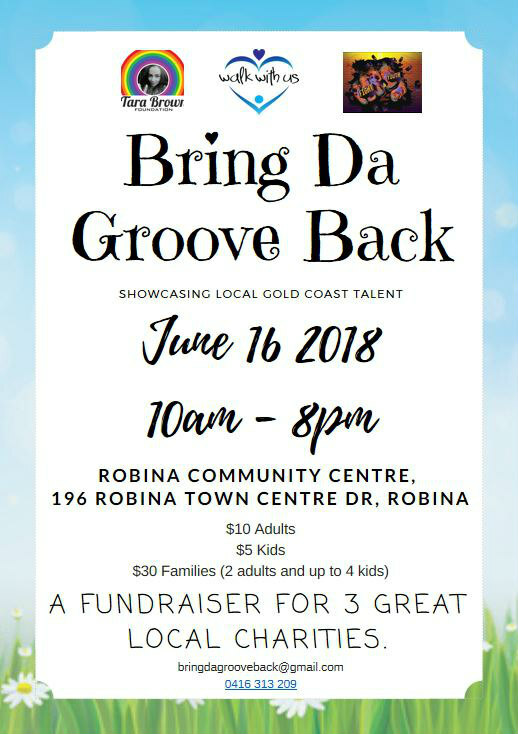 Showcasing a lot of local talent, yummy food and loads of fun.